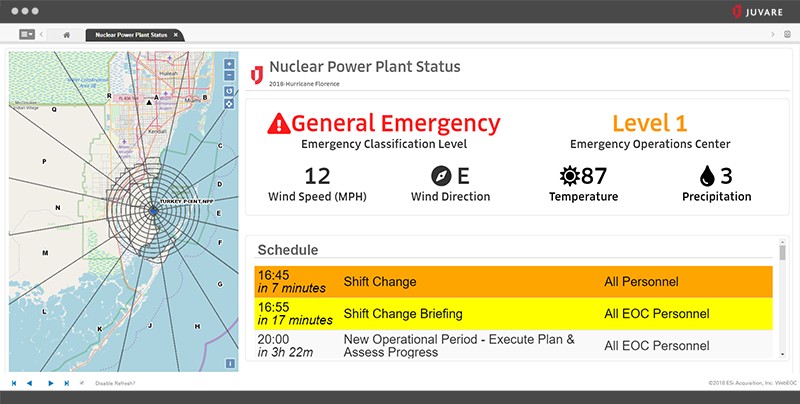 Prepare for and respond to emergencies with the world’s most widely-used, battle-tested incident management technology in the industry. WebEOC scales for customers of any size. With proven capabilities across a wide range of agencies and organizations in varied industries, Juvare’s open API delivers ultimate flexibility to adapt WebEOC to any need. Seamless integration is also possible with most third-party systems. Bi-directional data sharing and common workflows lead to greater collaboration among agencies, resulting in faster response and recovery, and more resilient communities. 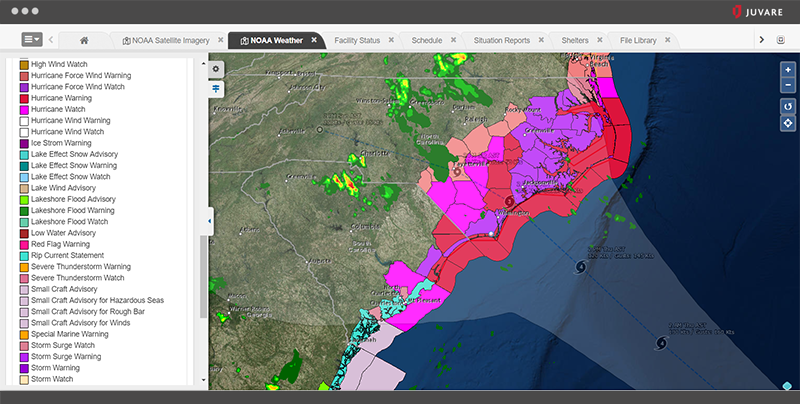 Every day, WebEOC users share data across agencies, state and local boundaries, and in both public and private sectors. WebEOC’s intuitive user interface and workflows make it easy to train new users quickly. Non-technical administrative users routinely create forms and processes and customize them to their organization’s needs. 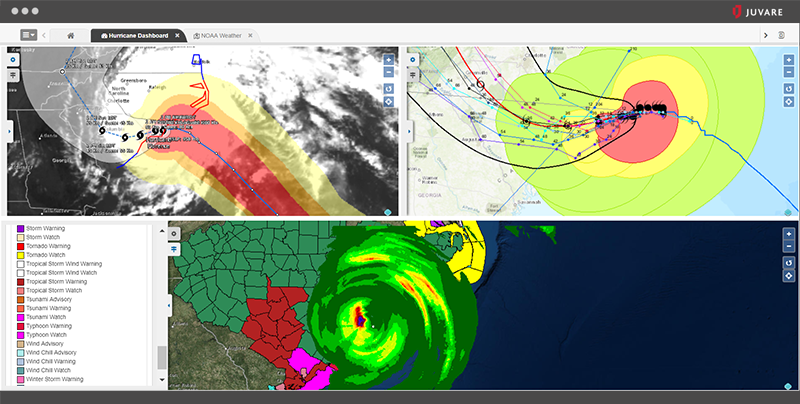 With users across federal, state and local agencies, as well as healthcare, corporate, non-profit and education, WebEOC is the world’s most widely-used incident management technology, designed from a deep understanding of the needs of incident managers.